In this lesson, we will learn how to multiply two numbers, where one of them is a three- or four-digit number and the other is a one-digit number. If a merchant bought 418 chocolate bars, which cost 2 pounds each, what was the total price? The radius of the area in which a rocket may land is two times its current altitude. 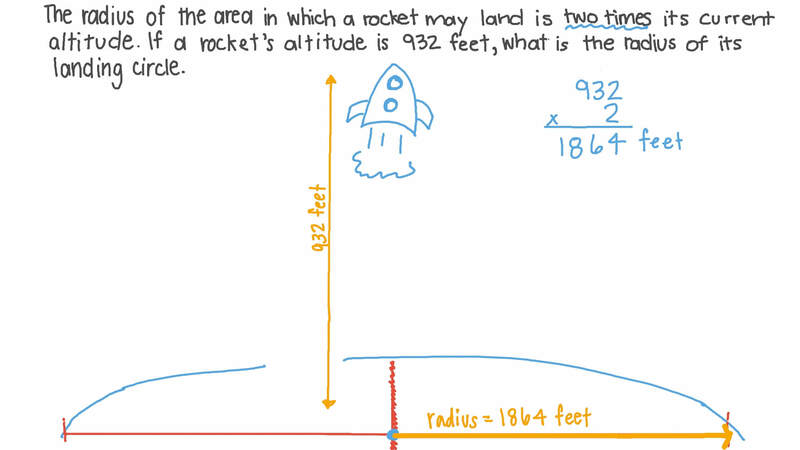 If a rocket’s altitude is 932 feet, what is the radius of its landing circle? If one metre of cloth is 1 2 3 p i a s t r e s , how much is 5 metres? A labourer is paid 6 LE per hour. How much will the labourer earn after working 71 hours?